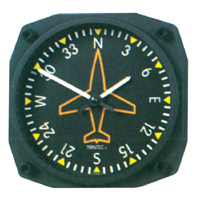 Directional Gyro wall clock [GIFT-021] - $34.50 : Metalcraft by Blair - military gifts and memoribilia. This clock features an accurate quartz movement and requires one AA battery (not included). Fun and functional, this is sure to give your day a lift.